By enabling software and hardware engineers to work in parallel earlier in the design process, hardware/software co-verification significantly shortens the time-to-tape out and enables teams to find and fix hardware bugs before fabrication. 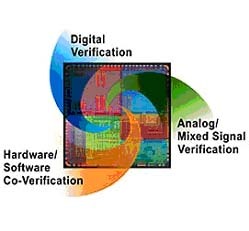 The Seamless hardware/software co-verification and analysis solution allows designers to create virtual functional prototypes described in C, RTL or mixed C/RTL early in the design process. Using this virtual prototype, design teams can verify that software and hardware are working together correctly and that system performance goals are met prior to system fabrication.